If you’ve been hankering to try some new Thai food, now’s the time. On July 1, Maiyai Vang opened Thai Phoon, the Chippewa Valley’s newest Thai restaurant. Vang runs the establishment with her fiancé, mother, father, sisters, and a family friend, providing Thai-American dishes including noodles, soup, salad, seafood, and more. With four levels of spice to choose from, there are dishes for people with all levels of heat tolerance – and Vang didn’t forget the pho. For the thirsty, Thai Phoon offers coconut juice, boba tea, Thai iced tea and coffee, and navam. Vang, who graduates from UW-Eau Claire next year, has always wanted to open her own restaurant, and knew that her final year of school would be the right time to realize her dream. The dine-in and take-out location occupies a storefront at 2121 Eddy Lane on Eau Claire’s north side. “I plan to be in a place where the people of Chippewa Falls can come, but people in Eau Claire can still come, too,” Vang said. She also hopes to provide more opportunity for Thai lovers to dine on their favorite dishes. 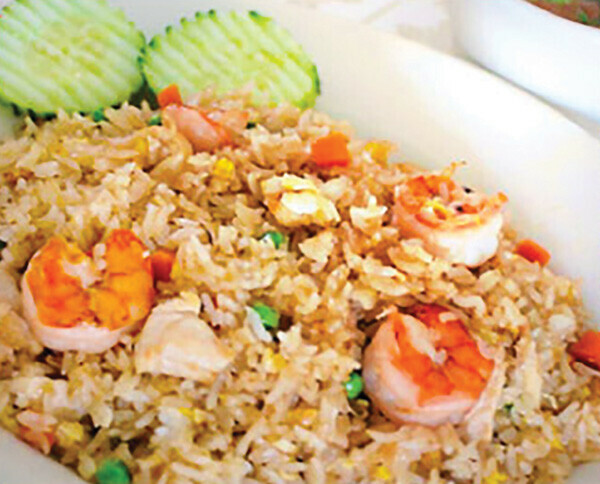 Thai Phoon offers online ordering for takeout, and is open every day from 11am-8pm. For more information visit thaiphoonwi.com.